As you know, Facebook is one of the top social media networks. With its number of users, there are definitely those who need your service or product. We will cover how to target your audience when you create Facebook ads, what types of ads to create, how much to pay for Facebook advertising and how to run the tests there. 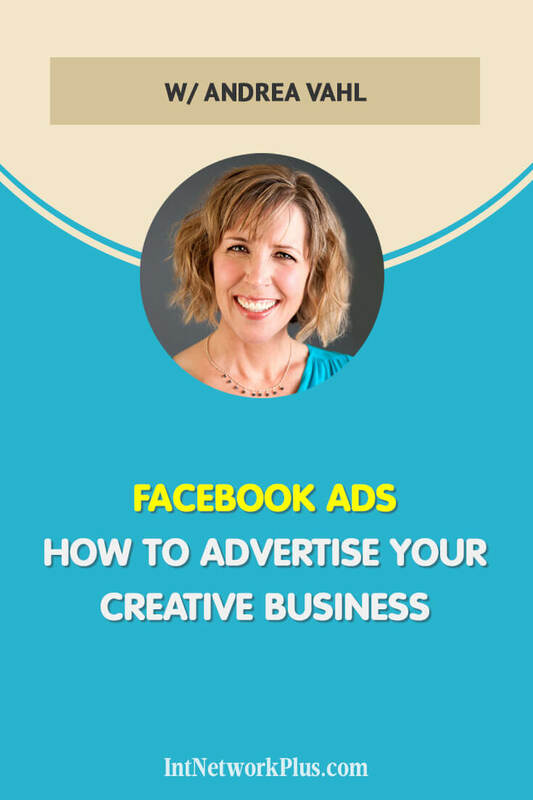 In this episode, with Andrea Vahl we talk about Facebook ads and how to advertise your creative business on Facebook. 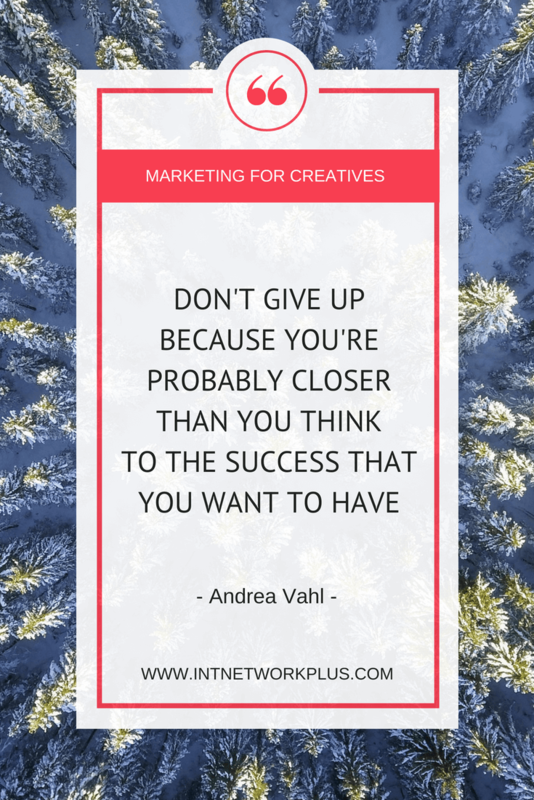 Andrea is a Social Media Speaker and Consultant who is passionate about helping businesses understand and leverage the power of social media to actually grow their business. 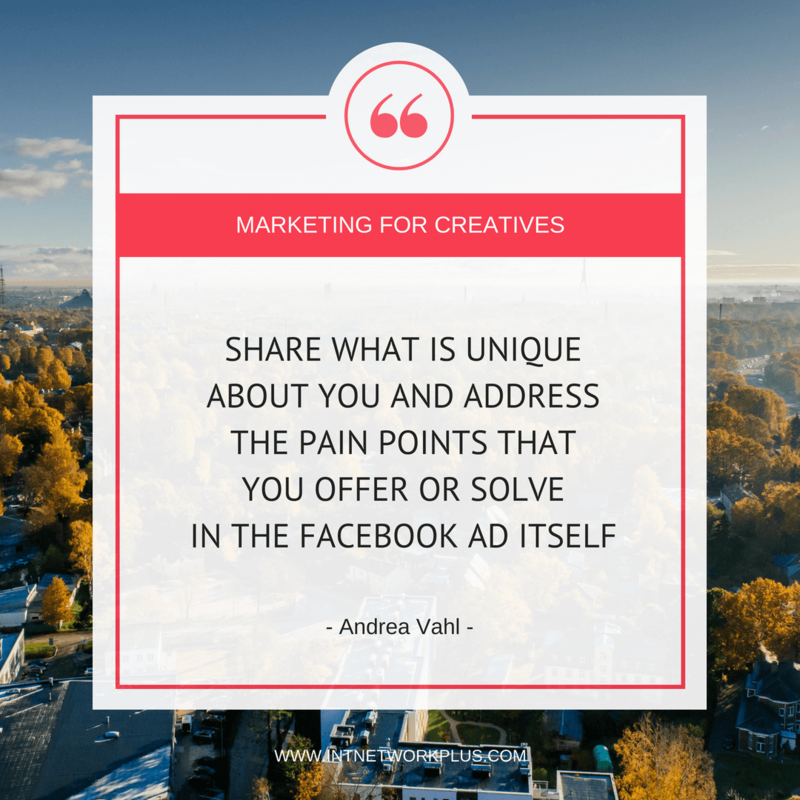 Andrea is the co-author of Facebook Marketing All-in-One for Dummies and was the Community Manager for Social Media Examiner, for over 2 years. She was named 50 Favorite Online Influencers of 2014 on Entrepreneur.com. She is also the co-founder of Social Media Manager School, a course that’s helped over 1400 people learn social media and start a business. It’s fantastic to have you here. You’re so busy woman. Busy with your book. Busy with your staff. Please tell us about your crazy life. How did you become a social media influencer? I started my blogging as Grandma Mary, Social Media Edutainer. Which was a character that… I did Improv comedy so that was a character I had. And I thought I’m going to make learning social media more fun and also easier because there were a lot of blogs that skipped some steps and didn’t really go into things as much as I wanted to see. Grandma Mary’s motto was “If Grandma Mary can do it, then you can do it too.” (Laughter) It was a lot of fun starting that blog and I had no idea where it would lead to. It actually led to a book deal. Now I get to speak all over the world and speaking and a lot of different places this year, which is really, really fun. It’s amazing. How long did it take you to go from unknown blog to become so famous? It’s just the wild thing is that I started my blog in 2009 and then the first edition of the dummies book came out in 2011. So, it was pretty short to that time. But I think it always takes longer than you think. Sometimes people think of they see someone as an overnight success and they don’t realize how much work goes into it. Now I have friends who are like, “Oh, you’re everywhere” and “Wow, that’s so amazing!” It’s great, but there has been a lot of work that’s gone into the back end of it. I always tell people, don’t give up because you’re really probably closer than you think to the success that you want to have. How did you start focusing on Facebook? Facebook was my favorite platform for sure. I did like Twitter. I liked Twitter a lot when it first started. There was a lot of conversations happening there. It was a lot of fun. It was a great way to connect to people that went to events. I don’t feel like as much conversation goes on there now. So, I still love Facebook a lot. I love Instagram too. Those are kind of my top two at the moment, but I mean I do love all the social platforms for what they can offer in their way. I think they all are super powerful. But Facebook has always been my favorite just because I think the threaded conversation and the way you connect to a whole different group in lots of different ways. I think it’s a lot of fun. Working with Facebook or any social media seems like a long process. We want to have a little bit shorter. We wanted to start advertising there so we can get leads. Can you help us please and give an advice how can we advertise a creative business on Facebook? What should we start with? 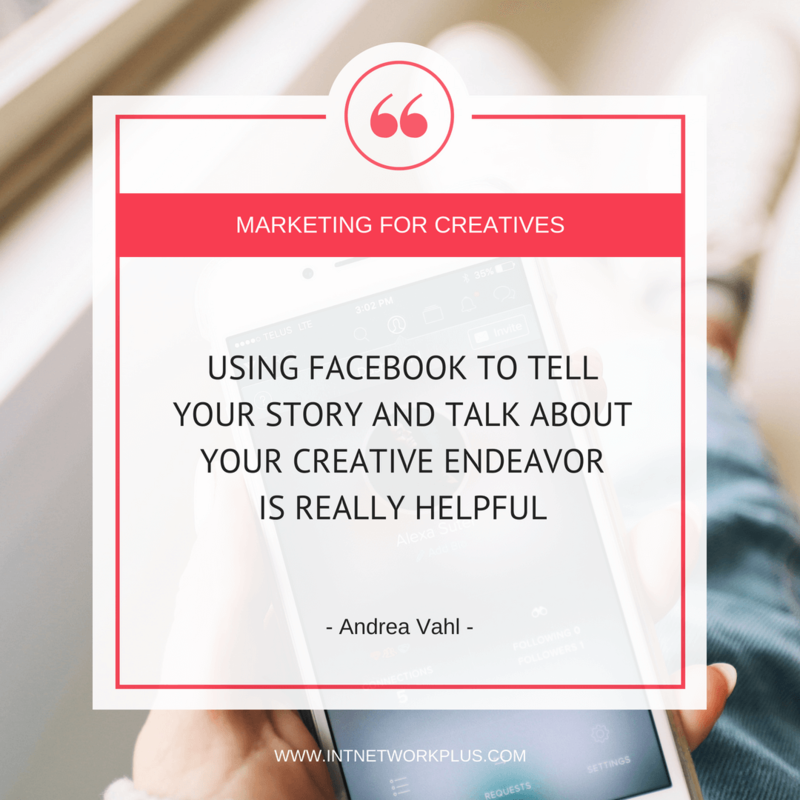 I think for creative businesses it’s really about building your own audience who is really familiar with you. I think what’s important there is really focusing on the retargetting in different ways. 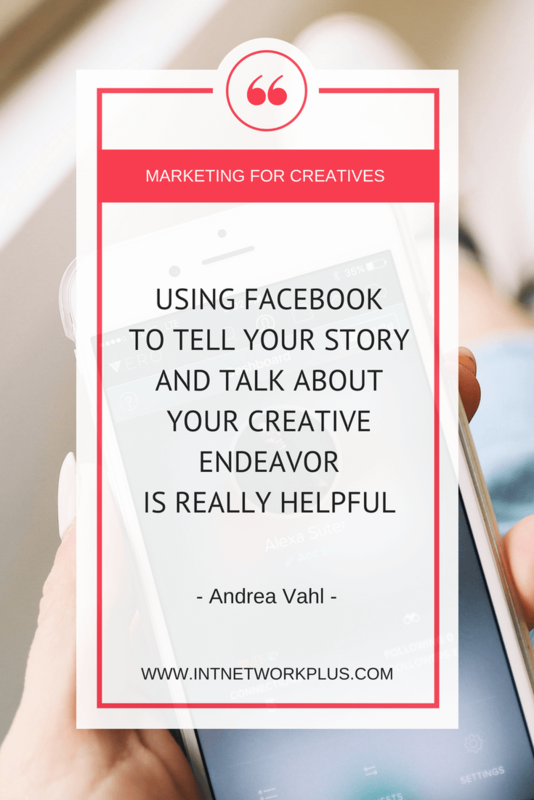 Using Facebook to tell your story and talk about your creative endeavor is really helpful. But then also using things like Facebook live and Facebook video to build an audience with boosting those types of posts so that you get video views. Also making sure that you’re sending people to your website where you have the Facebook Pixel installed. Again, you can do some of that retargeting to that group. 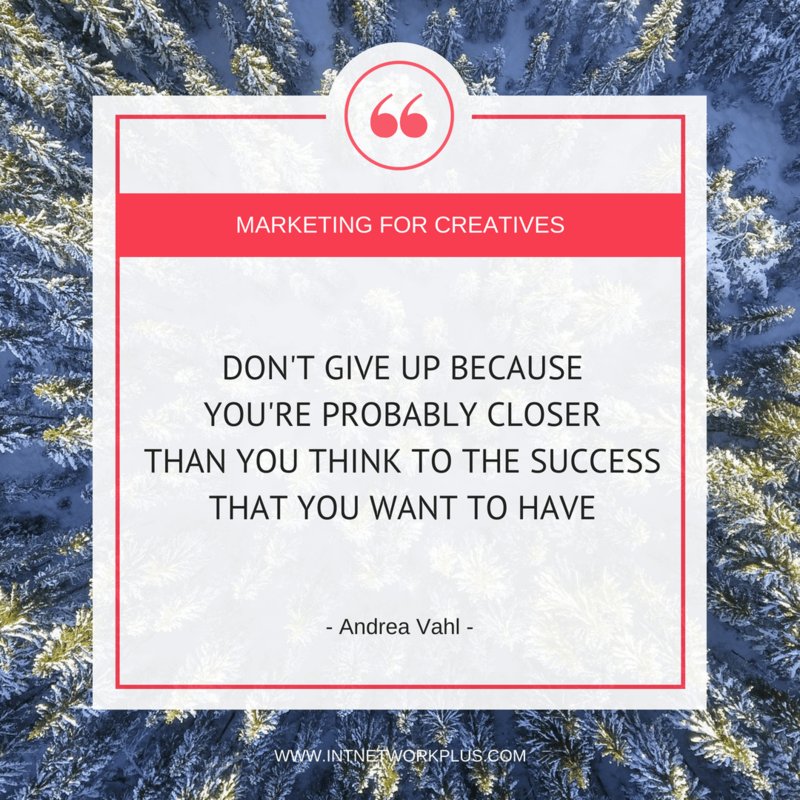 I think for creatives especially, it’s important for every business really, for any small business, but I think for creatives especially, it’s about really building your warm audience and connecting to the people who already know, like you and trust you and like your work. Using all that’s available in the retargetting parts of the advertising. What forms of advertising can we have on Facebook? For sure you can… I mean boosted posts are fine in some ways for sure to just be able to boost a post to an audience that you know works really well. But also, if you’re looking at driving traffic to a particular, maybe it’s an event, maybe it’s something that you’re really promoting and you want to get more visibility there, you need to drive traffic. It could also be about getting conversions with building an email list. Because one of the things I do with my stand-up comedy is I have shows that run, but then I also want to make sure that I get email subscribers to learn about those shows. So, you can send people to sign up for notifications about that. Then you make sure that you’re tracking to see how many people convert from those types of ads. You mentioned that we can boost the existing post already or we can create the individual ad. Which one is better? And what are the benefits, pros, and cons of each of them? It’s challenging to say which one is better because you really do have to look at the metrics yourself. Because sometimes I do find that boosted post can perform, outperform an ad that I create in the ads manager for example. It’s about kind of seeing how the post is doing. That’s the biggest thing, you want to boost a post that’s doing well. For example, I’ll post something on my Facebook page and then I’ll go into my insights a couple hours later and see what kind of engagement rate that post is getting. Is it doing well? Are People interacting with it? Is it already getting good reach? Is it interesting to people? Also, does it serve my purpose of… whatever my goal? Typically, I’m trying to get people over to my website to learn more about me. If that particular post is getting a lot of link clicks and it’s getting good engagement, I think, “Oh that’s a really great post.” So I’m going to go ahead and boost it. Now, it already has some social proof on it because people have already liked it. Facebook sees that it’s already an engaging post so they’re going to reward you with cheaper clicks when that happens. A boosted post can do really well if it’s already getting good engagement. That’s a good thing. But you can also optimize your posts around the type of objective you want. For example, if you are really focused on getting link clicks, you could run a traffic ad in the ads manager and then make sure that that is trying to get the cheapest link clicks possible. You have to do your own testing. When you, for example, boost the existing post, do you pick anything specific or you look at the statistics which posts performed well and just go to any posts? Or you will lead them to the landing pages on your website? I try and do something, I’m often posting my blog posts and I see that that might be doing well. It has to also fit your own goals. For example, if you have an event or if you have something that you’re really trying to promote, you might try and do something a little eye-catching or a little unusual with that so that it is a little bit more visible and getting more engagement. Then make sure that it’s getting good engagement first and boosted. It has to both fit your goals and also be engaging enough to the audience. It was a silly humorous post, but it got a lot of funny engagement. But it also drove very cheap clicks to my event. It was eye-catching because it was unusual and it was humorous, but it also served my goal of trying to get people to that webinar, for example. Interesting. If you would create an individual ad, do you have any step by step processes, how can we create the sales process to convert viewers to visitors and to leads? You have to understand how your funnel then leads people through the process. It’s every step of the way you’re kind of getting people into a deeper connection with you. If you are first trying to get them familiar with you, you might cast a wider net with some wider targeting to something that is free that is going to be interesting to them and get them onto an email list for example. Or even get them over to a blog post by just advertising a blog post. That’s kind of the first step is getting them aware of you. Then the next step is to really getting them into more engagement with you. Maybe that involves retargetting. Maybe that involves a second step into a more in-depth connection with you. Maybe it’s a phone call. Maybe it’s a webinar. Or maybe it’s something else, where it’s just even just retargeting to reconnect them over to you. And then another step, the final sale, is really getting them to actually purchase from you. That’s where the ads come into play where you’re only doing the retargeting to a sales message. So, you’re not trying to convert a cold lead not even knowing you to purchasing something from you. That can work for sure for certain things. That can work depends on what kind of landing page you have that actually talks about your product or your service that you might have. Or if it’s something interesting that they want to attend at the moment, they might convert that way. But often times I’m usually only doing retargeting ads at the sales step. You often say targeting and retargeting. What is that? How can we reach to those potential customers and was the difference? Targeting is really just using the keywords that are available in Facebook ads. Facebook is doing all kinds of tracking about what people like, what fan pages they’ve liked, what type of demographics they are in. You can target all those in both boosted posts and in Facebook ads. There’s some deeper targeting that’s available in the Facebook ads manager than there is just in a boosted post. That’s why I typically am advising people to do the ads manager. But that targeting, you can do things like target the fans of a certain page. It depends on how many fans are of that page to be able to use that as a keyword to target. Or you can target people by General interests. Say someone’s interested in jogging or tennis or something like that. You can even do targeting as deep as things like job titles, certain demographics or certain behaviors. Some of this targeting is going to go away in the coming months, in the next six months. Facebook is removing that by September 2018, but they’re still going to be a lot of targeting keywords available. That’s just kind of more the general demographics targeting along with keywords. When I talk about retargeting what I’m meaning there is you can target people who have visited your website if you’re using the Facebook Pixel on your website so that you know those types of people are really interested in you because they’ve already been to your website. They may not know about your fan page. They may not have seen your presence on Facebook, but they somehow have gotten to your website through a different means and now you can reach them with the Facebook ad. Then you can also retarget people if they have subscribed to your email list. You can upload your email list and then Facebook will match that email list to Facebook subscribers, you can reach the people who have subscribed to your email list and now they might see an ad from you. You can also retarget based on if people have liked your fan page, so I call that retargeting as well because they’re already familiar with you because they’ve liked your fan page. Or you can retarget people based on if they have engaged with your fan page in any way. Maybe someone has watched a video of yours for three seconds or 10 seconds or half of a video. You can actually target those people with another ad. It’s a really powerful technique when you might have a video that does really well, gets a lot of views and now you can connect with those people who have seen that video again. 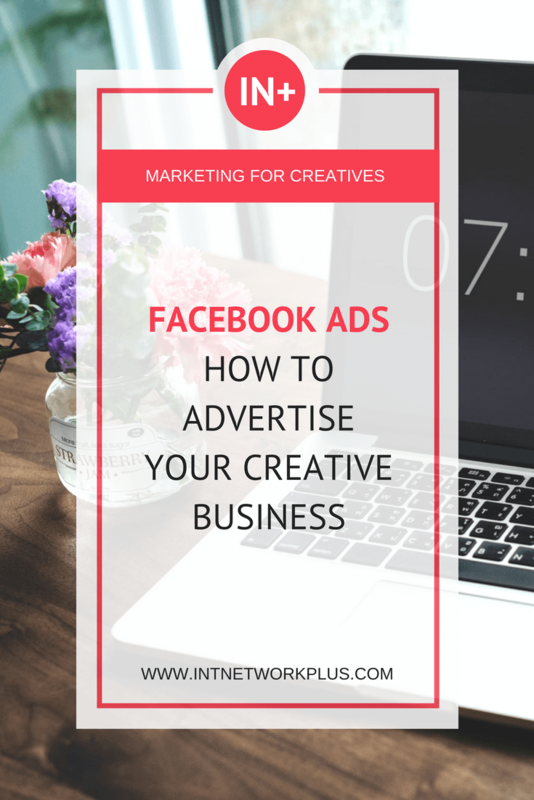 There’s a lot of really powerful tactics available in Facebook ads that help you grow your business. There are so many options. Which one do you think is more effective? It just depends. Obviously, for general targeting, it could be you’re trying to reach a new audience. Retargeting, you’re reaching a warm audience. A lot of times that can be really effective if you have a large enough audience to retarget. It is a function of size, but I have seen different types of ads work really well for both types of targeting. For example, if you want to reach new audience would you create an ad based on the general stats or would you try to reach followers or specific pages as you mentioned before? I’d split test different things. I’ll test some generic interests, like maybe they’re interested in jogging or maybe they are interested in… I mean that wouldn’t be from my page necessarily, but just as an example. Then I might target specific pages like there are people who are interested in Runner’s World magazine or something as an example. Or there are people who are interested in certain types of running shoes and the fans of those types of pages. Then I’ll test each ad and say, “OK, which audience performed better?” and now I’m going to get cheaper clicks by using that audience more. How much should we pay for the click? And how can reduce this price? Do you have any tips on that? That can really vary a lot by industry. Sometimes people are getting really cheap clicks and sometimes it depends on the country as well. I have clients who are in Australia can sometimes get really cheap link clicks versus a client in a certain type of city who are targeting maybe a narrower audience in the US. Their link clicks are costing them maybe $1.5. It also depends on the type of ad you’re running. That can vary a lot too. In general, the way you get cheaper link clicks is just by doing more testing. When you do the test how much would you put into the budget and what post would you create? How many posts? How would you do this test so then you can keep going on this? It really depends on what your overall budget is for Facebook ads. I have clients that are running ads and they’re spending like $3,000 a day on Facebook ads. I also have worked with clients who are spending $25 a day. It really just depends on your overall budget for this. Usually, for a test, I recommend testing an ad for four or five days and spending at least $5 a day. That’s $25 for an ad. Typically, I recommend more like $50 to really kind of let that budget settle in. But you can get some decent results with $25 for an ad. For example, if you wanted to do even just test two different things and run each ad for $25 at five days or $5 a day for five days, you would be spending $50 total. And at the end of that $50, you would have more information about which ad or which tests you performed worked better for you. You would see which one had cheaper clicks. Would you run two ads at the same time or would you first do one campaign for four or five days and then another one and then compare? You can do it, either way, depending on how large your audience is. A lot of times at that rate you’re not going to be spending too much unless you have a really, really small target audience. Then I would say run the test consecutively so you’re not overlapping that. To have a really pure test, you would run it consecutively, but you can run it concurrently if you want to just shortened the testing time. When you run the Facebook ad, how would you compare that? Would you, for example, create one post and the second one you will change just the title or you’ll change the description or you’ll change a photo to video? Or how would you do this test? You want to test just one thing at a time. Usually what I start out with is testing the audiences and then have the same exact ad for each one and test different keywords in the audiences. In a perfect world, you would go and test each keyword by itself because you can’t find out which keyword was the best performer in the Facebook reports. But sometimes it’s not feasible to test every keyword by itself. Usually, I suggest just grouping keywords together that makes sense and testing different types of keywords together. Then you test things like the images or video or possibly texts. What do you mean by grouping keywords together? Basically, you can put multiple keywords in an ad and you so you can group like maybe it’s you test a group of job titles together or you test a group of fan pages keywords together and you would group those together to test them. How many would you put together? It just really depends. It depends on the size of the audience. It’s hard to say. For example, for Twitter. If you use hashtags for Twitter, people say “Use two to three hashtags.” For Instagram, 30 hashtags. Those are also keywords. What can we use on Facebook? It’s really about how much you want to test. There’s no really perfect answer for that. It really can vary. What about the post itself? Do you think photos perform better or videos perform better there? That can vary as well. I typically see that single images do the best in terms of cost per link click, but a lot of times video can do well in other ways because it’s telling a story and um, I have seen it perform better in certain cases for conversions possibly. It just depends. Again, it kind of depends on what type of video. Because there are so many different types of video you could have. You could have like kind of an animated video or a slideshow video or a more personal video or a Facebook live. There are lots of different types of video that’s out there. But in general, I’ve found that images perform better in terms of cost per link click. And I actually just wrote a post about this recently that I can send you the link to, on video vs images. Do you have any tips on how to create a Facebook ad that converts people into leads? Basically, you really want to address whatever issue that people are having that is the pain point that they’re dealing with. Or really showcase how you are unique in what you do. For example, I saw an ad just recently for a travel agent. She was saying that Facebook ads weren’t working for her, but the ad she was using was just said “Such and such travel agent for all your travel needs.” Then it was a picture and that’s all it said. 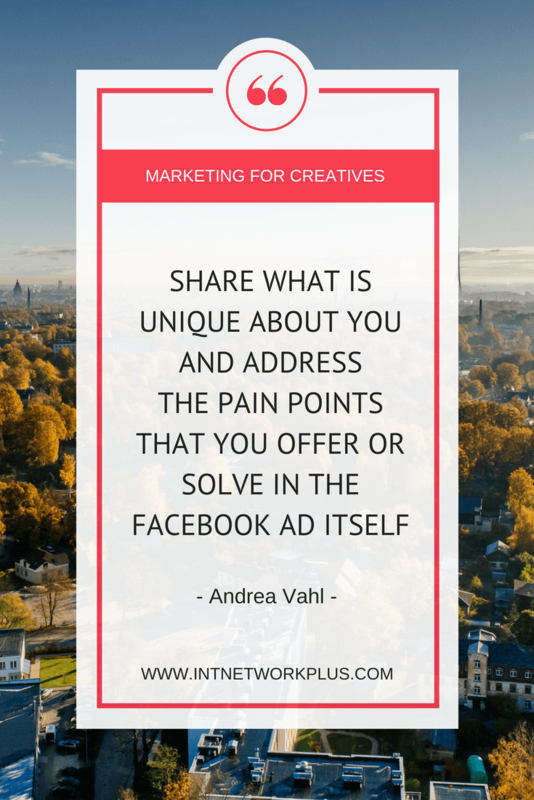 You really want to share what is unique about you and really address the pain points that you offer or that you solve in the ad itself. Really kind of speak to that issue, or showcase why you’re unique or use testimonials can work really well as also. You have to really engage people and connect with them and tell your unique story because you want to get them to even just click on your ad. Then the other thing that has to happen is the landing page has to really be very, very specific to what the ad was kind of talking about. You can’t just send them to your homepage on your website and expect someone to figure out what they should do there. The landing page really says, “Here’s how I can help and here’s the next step that you need to take.” Make sure that, that is super clear. Maybe you can give us an example of the text we can put there? A good ad. Because now you’re saying general things, which is good. But I think it will be more clear for people if you give an example like you get the picture, which text and do you add there call to action? And maybe give an example there. Then maybe even put a testimonial. Or even just some kind of social proof as far as how long you’ve been in business or things like that. That would be maybe kind of a better ad than just that one that I kind of shared. How do you track the conversion of the Facebook ad? That is basically with the Facebook Pixel. You have to have the Facebook Pixel to be able to track that conversion. And that’s all happened on your website. Mhm (Agreement) What is Facebook Pixel? It’s just a little bit of code that you add to your website and that is tied to your Facebook account. What should we do this? We put this code on the website, people come to the website from Facebook. Can we see any stats or how does it work? Yes. It’s similar to Google Analytics. It tracks your stats from your ads. To what stats should we pay attention to? When you set up the Facebook Pixel you can track if people have opted in or if people have purchased or things like that. So those are the things you pay attention to. How would you analyze that and maybe create a better ad based on these stats? You basically watch the stats and compare each ad to each other so that you figure out which one is performing the best. Can you please give us a little strategy? What are the main three steps to having a good Facebook ad? I think you really want to focus on your image, your targeting and then really watch your reports. Those are the three things you really want to focus on to make sure that your ad is really performing well. Do your testing, where you’re making sure that you’re watching the stats that you want to pay attention to, like link click cost or maybe it’s conversion cost and then compare each ad to each other. But then also make sure that your landing page is really set up well. So that if you’re getting a lot of people over to your landing page and no one’s converting, then maybe you need to pay attention to your landing page. Thank you so much, Andrea. Please share with us how can we learn more about you and I know your book is coming out soon. Yeah. People can get connected to me at andreavahl.com and I am going to have a Facebook advertising book coming out really soon. Hopefully, I didn’t want to name a date because it’s already been pushed out a little bit, but hopefully, it’s going to be out really soon. And I also have a whole course on Facebook advertising at fbadvertisingsecrets.com. Fantastic. Thank you so much, Andrea. It was so much pleasure to have you on the show. Thanks so much. Good talking to you.